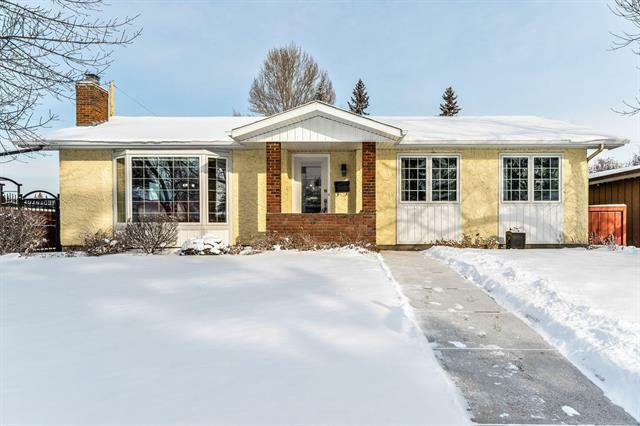 Finally an UPDATED Bungalow in HIGHLY sought after LAKE BONAVISTA-one of Calgary s most desirable communities. 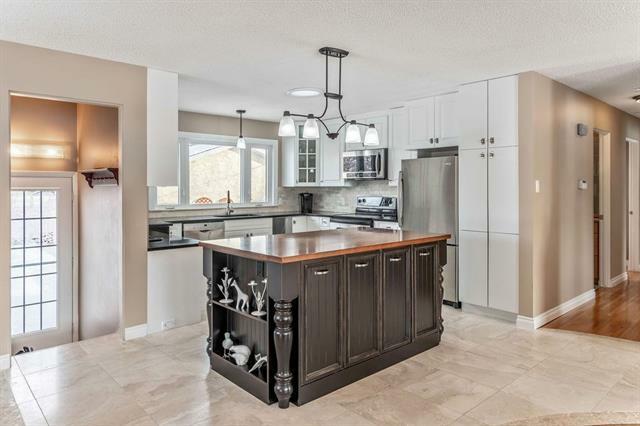 This BEAUTIFUL and IMMACULATE 5 bedroom home features almost 2500 square feet of living space. 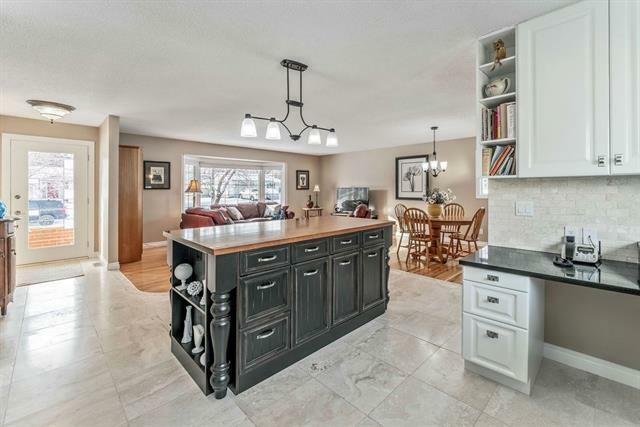 The BRIGHT and OPEN main floor features the updated kitchen with a Large ISLAND, STAINLESS STEEL appliances , GRANITE and plenty of cabinets with an Adjacent dining room that overlooks the living room. There are 3 bedrooms on the main level. The Master has FULL ENSUITE with a shower. The basement is fully FINISHED with a family with a cozy FIREPLACE , built -ins and INFLOOR heat. There is also a den / flex room , 2 more bedrooms , another full bathroom and plenty of storage! The sunny backyard is fenced. The HEATED OVERSIZED GARAGE (23.3x21.3 interior )has 200 amp and is a handy man or mechanics DREAM! There are 3 sun tunnels, newer windows , doors and roof. The electrical has also been updated. 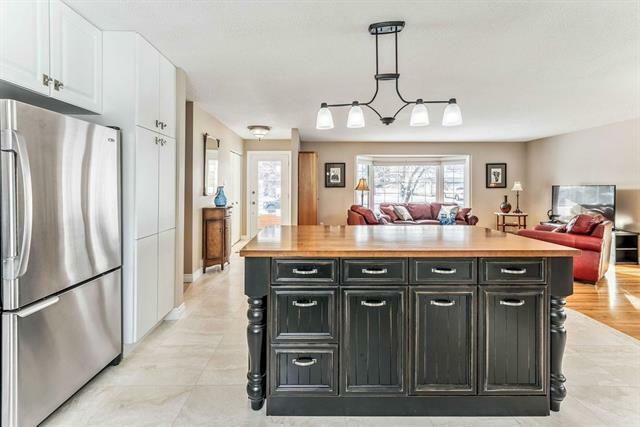 This fantastic home has LAKE PRIVILEGES and steps to schools, sports field and more!